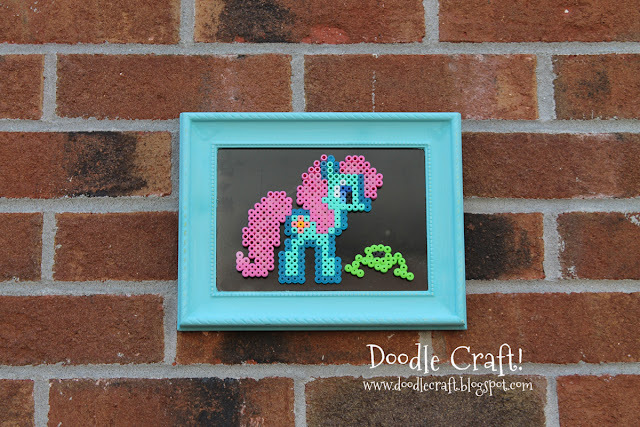 Doodlecraft: More My Little Pony Perler Beads art! More My Little Pony Perler Beads art! Meet Tropical Mist and her frog Jeepers! Here's an upclose shot, you can make one of your own! 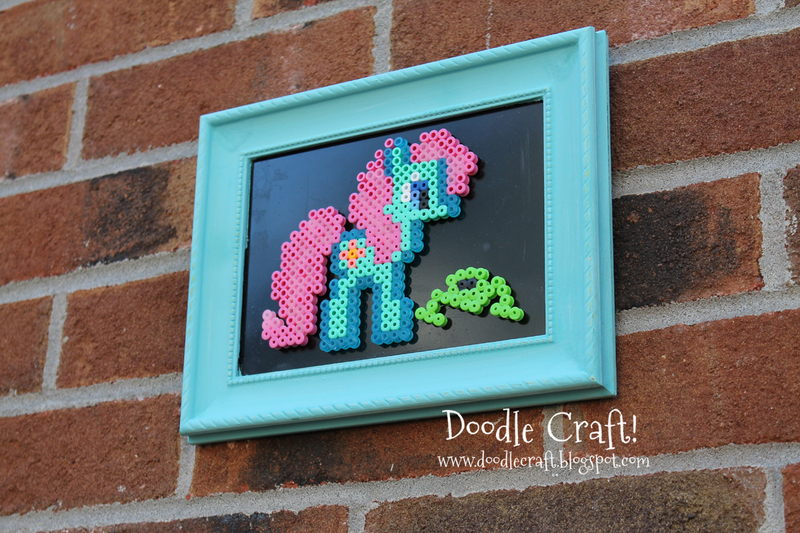 I use a large rectangle board and make my own 8-bit designs. 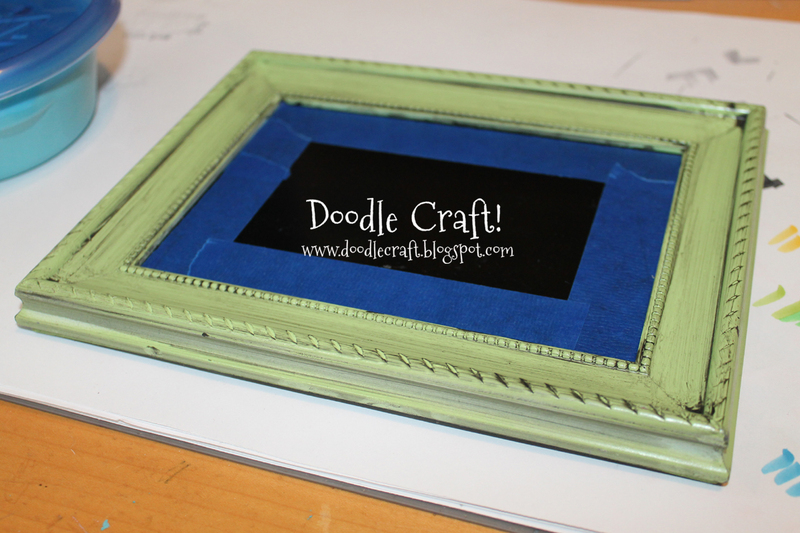 I had a small frame that I repainted aqua...not lime green. Hot glued her right on. Love it! Oh how cute! 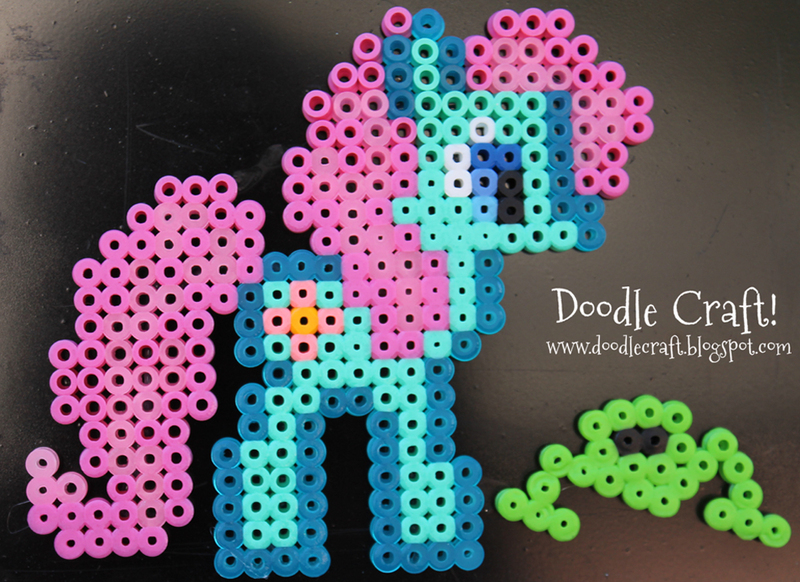 I have 2 girls who love My Little Pony and perler beads. I'm going to look through your other posts to find their favorites. Thanks!